Kao Mai Lanna Resort - San Pa Tong, Chiang Mai, Thailand - Great discounted rates! 7.3 out of 10 based on 291 verified user reviews via Agoda. 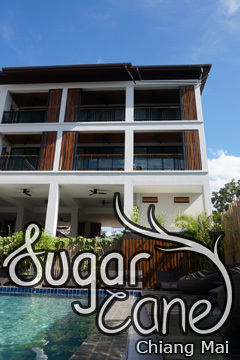 Kao Mai Lanna Resort is conveniently located in the popular San Pa Tong area. The hotel has everything you need for a comfortable stay. Free Wi-Fi in all rooms, 24-hour security, daily housekeeping, taxi service, 24-hour front desk are there for guest's enjoyment. Each guestroom is elegantly furnished and equipped with handy amenities. Enjoy the hotel's recreational facilities, including yoga room, outdoor pool, spa, massage, solarium, before retiring to your room for a well-deserved rest. Friendly staff, great facilities and close proximity to all that Chiang Mai has to offer are three great reasons you should stay at Kao Mai Lanna Resort. Kao Mai Lanna Resort - Chiang Mai classifies itself as a 3 star hotel.